LAUSANNE, Switzerland — The World Baseball Softball Confederation today revealed the latest standings in the Official WBSC Baseball World Rankings, which weigh a country’s entire National Team programme (from U-12 to Pro) in international competition. The WBSC Baseball World Rankings reflect a 4-year cycle and a data set of more than 1,000 international contests dating back to 2012. Ranked No. 1 since November 2014, Japan (5,154 pts.) remains the top-ranked baseball power, while the United States remains at No. 2 (5,091 pts.). The U.S. has pulled within 63 ranking points of the top spot, having defended the country’s world titles at the U-12 Baseball World Cup and U-18 Baseball World Cup in 2015, while having placed second at the 2015 Pan-Am Games and flagship Premier12, which awards the most ranking points of any international competition. Chinese Taipei has moved up a position from world No. 4 to No. 3, a historical high for the nation. Korea, bolstered by winning the Premier12 last November, has jumped up four spots to tie its highest-ever ranking at No. 4 in the world. Korea climbed as high as No. 4 in 2009, following a gold medal performance at the 2008 Beijing Olympic Games and a second-place finish at the 2009 World Baseball Classic. Mexico, who advanced to the semifinals of the Premier12, has moved up five spots to world No. 7, a historical high for Mexico. Italy, now Europe’s top-ranked country, has advanced two positions to world No. 9. Italy’s breaking into the Top 10 equals the nation’s highest-ever ranking. The Dominican Republic, who finished winless at the Premier12, has dropped six places to world No. 12, falling out of the Top 10. Puerto Rico has also fallen out of the Top 10, dropping two spots to No. 11. Oceania’s top nation Australia has moved up a spot to world No. 13. No. 40 South Africa is Africa’s best-ranked representative. Four nations are making their historic debuts in the WBSC Baseball World Rankings: No. 58 Singapore, No. 59 India, No. 66 Estonia and No. 68 Iraq. Sweden made the biggest leap forward in the rankings, moving up 24 spots from No. 53 to No. 29. 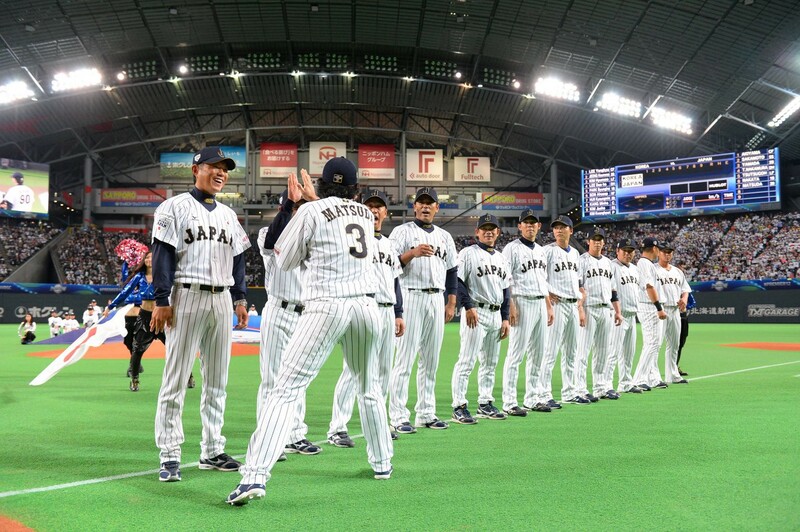 The top international competitions on the 2016 calendar are the U-23 Baseball World Cup in Monterrey, Mexico in Oct./Nov., which will award 690 points to the nation that captures the U-23 world title, and the U-15 Baseball World Cup in Japan in Jul./Aug., which will award 460 points to the U-15 world champion. An updated WBSC World Baseball Rankings methodology and point allocation can be viewed here.